I was a kindergarten teacher in China for 12 years. After moving to Australia, I have taught Mandarin and Cantonese as a volunteer and tutor. I am very good at play based teaching as well as creating and using animation in teaching. I have 15 years of teaching experience in kindergartens and junior primary schools in China. 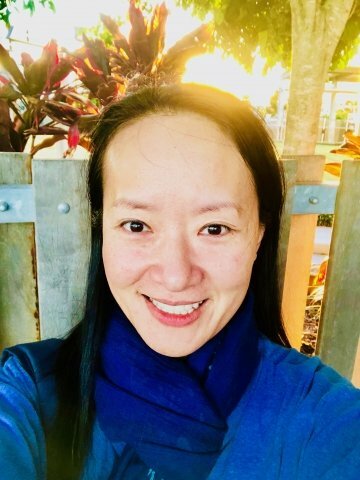 In the past year in Australia, I have been teaching Mandarin at the local community centre and privately tutoring adults and teenagers Mandarin and Cantonese. Currently, I am doing supporting the Chinese class as a volunteer for Y2 & Y4 in the Lakes College, North Lakes. I have excellent skills and experience in designing and implementing lessons according to students' ages and purpose in a fun and effective way. I am able to fit into most schedules to best suit your needs. 1. You can study at your pace, at your level within your schedule. Cantonese, or purely in the language you want to learn. for other reasons, I will have a lesson structure for you. the chinese character and Pinyin as well.